Top 10 Tips for Being Together at Sea: Happy Wife, Happy First Mate! 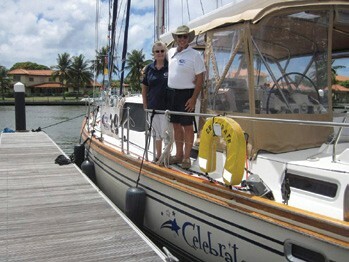 By Captain Charlie Simon A lot of guys ask me, “How did you get your wife to sail around the world with you?” From our nearly 40 years of sailing together, here are my top 10 tips: Captain Charlie & Cathy Simon completed a 26,000-mile circumnavigation aboard their Taswell 58 Celebrate in 2015. ©spokesman.com 1….